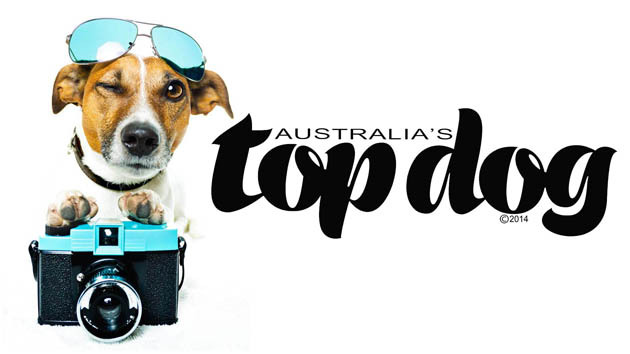 Competition sparks search for Australia’s Top Dog! The search is on for Australia’s Top Dog! Move over leggy glamazons: scruffy is the new chic. Media Animal TV has launched a nationwide competition aiming to find Australia’s Top Dog. Unlike fashion mavens, dog lovers know that beauty is not skin deep. So along with the primped and preened pooch, this unique round-up will recognise dogs that reflect a true Aussie spirit – dogs with big hearts, true grit and maybe a larrikin sense of humour to boot. Media Animal TV is an online channel celebrating unique Australian animals and some equally unique Australian personalities – from animal whisperers with amazing insights into our pets to quirky wildlife lovers who show us an unexpected side of nature. The Top Dog call-out will offer 4 entry categories to reflect the wide variety of roles dogs play in Australian lives, from rounding up sheep on a dusty station to giving “Welcome Home” licks to brighten an office worker’s day. Doing justice to the special roles our dogs play will take some very special judges, including media personality Steve Austin, a renowned dog lover and Elite Dog Trainer, and Ann Harris, Animal Talent Scout and head of leading agency Animal Talent Time. 1 in 3 Australian households includes a dog, in a nation where there are 2 million more pets and than people. According to a survey by the Animal Health Alliance, 90% of us consider our dog or cat a member of the family, and companionship is the main motivation for 70% of pet owners. Pet owners are both healthier and happier, suffering from a lower rate of depression, loneliness and even heart disease, according to the RSPCA. Kids who grow up with pets, especially dogs, suffer from fewer allergies, and grown-ups with dogs make fewer trips to the doctor. This category is open to all pet dogs, cute, not so cute, silly, funny loveable dogs in all shapes and sizes. Calling all dogs with jobs, be they farm dogs, assistance dogs, police dogs or military dogs. Does your dog have a special talent? Can they sing, dance or perform a special trick? This is your category. It’s about style, deportment, coat condition, personality – or perhaps a special sparkle in the eye! If you’ve got it, flaunt it. Media Animal TV is the brainchild of Tracey Preston, an Australian television newshound with a passion for uncovering unexpected animal stories. Along with inspirational tales of ordinary people doing extraordinary work with animals, the online show offers fantastic take home tips and advice from world-renowned pet and animal experts. MATV focuses on highly shareable, positive stories that educate, entertain and celebrate animals.